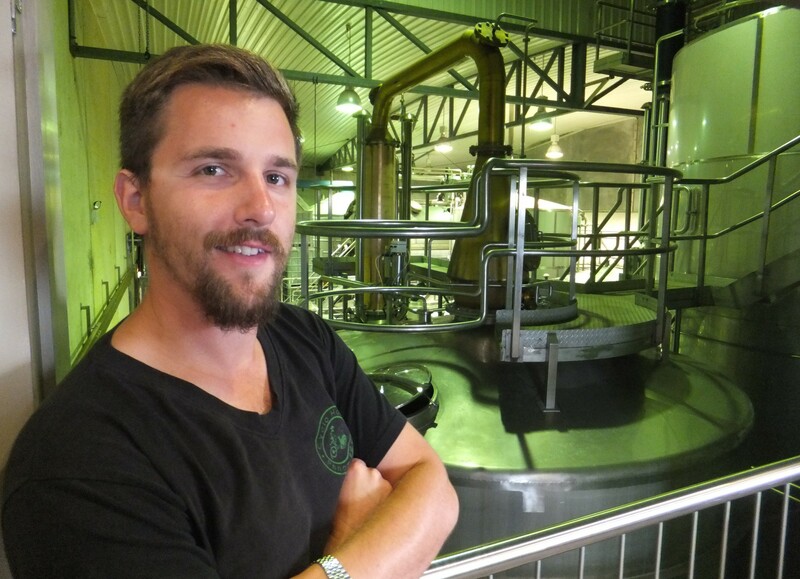 Hellyers Road is the ultimate modern distillery. You will find no creaky wooden washbacks or hand beaten copper stills here. It takes multiple glances to realise it is even a distillery at all. However, there is one tell-tale giveaway: the smell. As soon as the door separating the visitor centre and distillery is opened you are greeted with the unmistakable scent of the angel’s share escaping. There can be no doubt: whisky is made here. 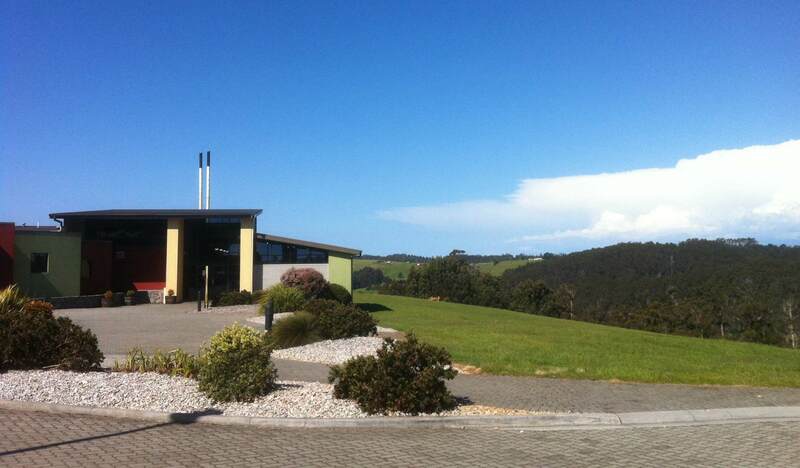 Located in Burnie on the North West coast of Tasmania, the architecturally modern visitors’ centre is incongruously wedged between beautiful rural countryside and the looming industrial hulk of a dairy factory. You can guess which view Hellyers Road have made the most of, with large floor-to-ceiling windows looking out across the Emu Valley. Our tour begins with a friendly introduction to the distillery by our guide Dianne, detailing the history of the establishment. Hellyers Road is owned by the Betta Milk Company next door and is the result of their desire to diversify their product range. Already possessing the production knowhow, they laid down their first barrel in 1999. Flash forward to today and the company proudly distributes to 26 countries, in particular supplying the major emerging market in Europe. 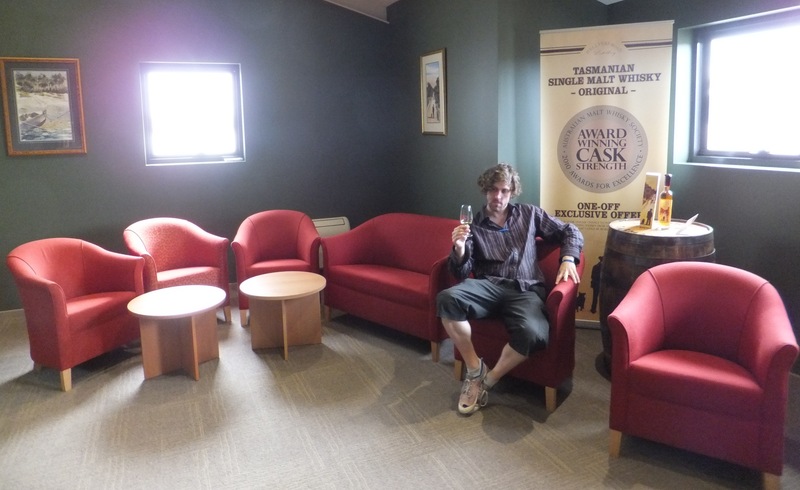 Ted checking out the milk factory… er… I mean distillery! 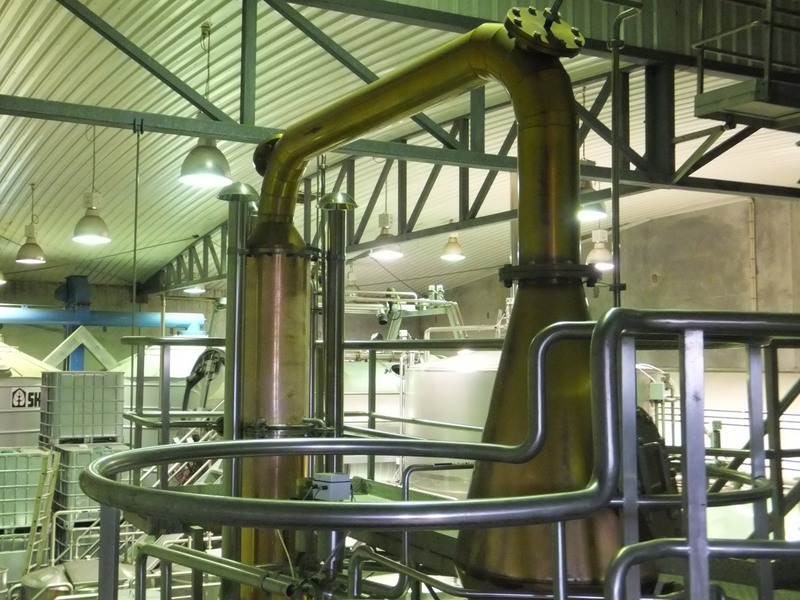 Hellyers Road have certainly used their knowledge of production lines to full effect, with the capacity to produce more whisky than any other Australian distillery. Indeed, their bottling machine, sourced from Italy, is capable of churning out up to 2000 bottles per hour. This is just one example of their ultra-modern approach to equipment. Elsewhere stainless steel takes the place of the traditional oak and copper, and the neck of the still follows an unusually horizontal angle. The entire distillation process can even be controlled remotely by head distiller Mark Littler, wherever in the world he happens to be. An excellent view of the bond store is provided by a balcony on the second floor, revealing hundreds of barrels quietly maturing thousands of litres of Hellyers Road whisky. Most are ex-American oak, although directly below our vantage point are a number of sherry butts, a recent addition to the Hellyers Road stable. 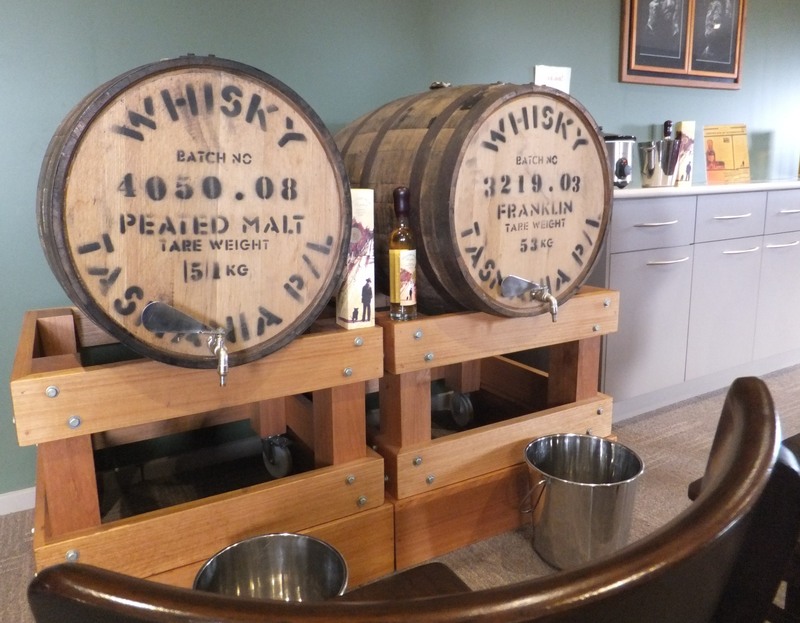 We cannot wait to sample some of this whisky, though we are fully aware we may be waiting for some time! 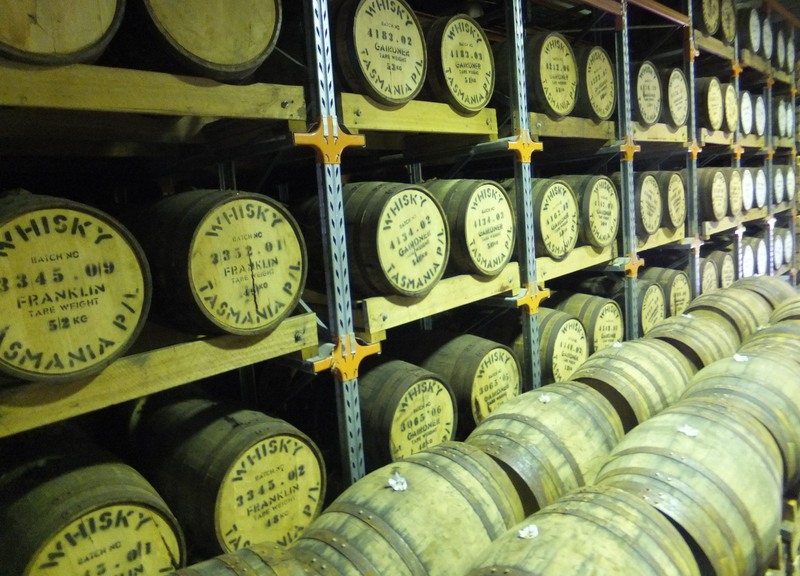 We learned how to read the numbering system on the barrels – and instantly felt like we were part of a secret society! Nestled on the second floor are two barrels that Hellyers Road are kind enough to allow their guests to sample a dram from. The varieties on offer are the Original and the Peated expressions, and as they come straight from the barrel they are of course at a powerful cask strength. Hellyers Road also offers those that do the tour the chance to fill their own bottle straight from the cask before sealing it with hot red wax. Both Wafflers will confess to each having a sealed bottle sitting at the back of their cabinets from an earlier visit. The dairy theme continues with a chance to milk a whisky cow! Nose: fresh and caramelised apples, raisins, walnuts, orange and cherry ripe. Faint Hellyers Road buttery notes, but masked by spicy alcohol. Mouth: Sour high strength alcohol notes, pan browned butter, oakiness and some slight briny seaside influences. Leaves the mouth quite dry. While at the distillery, the boys at whisky waffle also conducted a blind tasting of six different Hellyers Road expressions. Stay tuned to find out how they did! 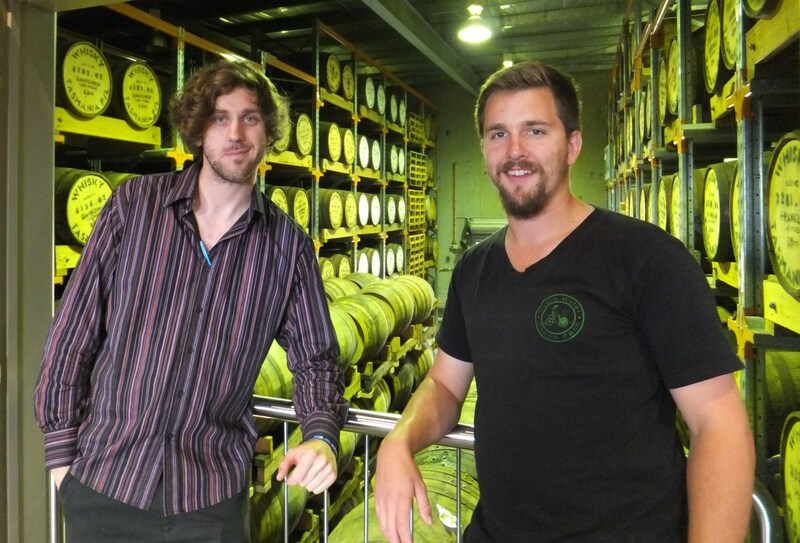 Great to learn about distillery’s all over the world! Thanks for checking it out! If you ever find yourself in this part of the world we’ll take you along to one!